If you thought racism against darker skin tones was limited to the Western world, you've obviously never travelled in Asia. China particularly is known for being unabashedly upfront about discriminating against most people not of Chinese-origin. 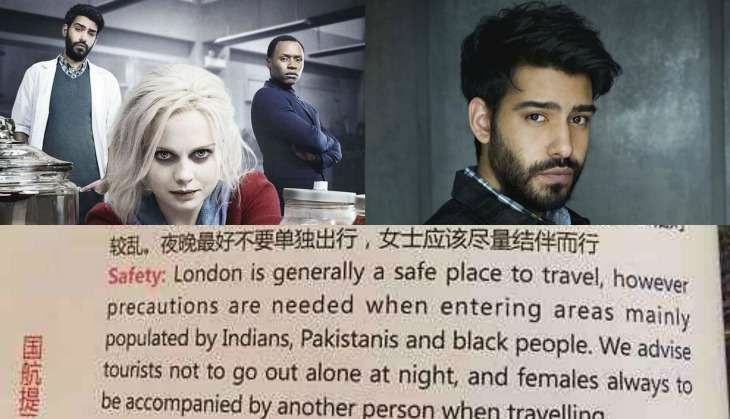 In this tweet shared by iZombie actor Rahul Kohli, we see a snippet of the profusely useful safety tips from Air China to its passengers flying to London. As if Brexit, hate crimes and xenophobia within the UK hadn't made life difficult for people of colour already. The handout, very matter-of-factly, informs visitors to London that although largely a safe place, it has areas "populated by Indians, Pakistanis and black people". Precautionary measures in such areas include not going out alone at night and not letting women travel unattended. Wow, racist much? So there are no crimes by actual white people in the UK, is it? It's just the unruly brown and black people who break the law? For the record, these tips work in any country, China. Yours included. In the meantime, Rahul Kohli seems to be getting a lot of heat from more racist humans out on Twitter. Evolution, how did you go so wrong?